According to a statement received by Android Central, T-Mobile is taking heed of Hurricane Sandy and canceling their “Showcase” event scheduled for tomorrow evening. With Google making the same moves, we’re not surprised T-Mobile is putting safety first and we’ve got no complaints with that. As a Floridian I know just bad Hurricanes can get, so if you’re in harms way, stay safe and forget the next best smartphone for a few days. It’ll be there when the storm passes. Hey, you never know, maybe T-Mobile will use this time to reconsider our invitation. Monty?? Ok, I’ll take what’s behind door number 3! Dang! I always get the donkey! Hurricane sandy. What are you doin? Sandy. STAHP! u maaaaaaaaaaad stupid i hate you. sooo Monday has become Windows Phone day instead of some crazy mobile Monday. Basically. Hopefully Google and T-Mobile can take the extra time and make it more splashy for the media coverage later. 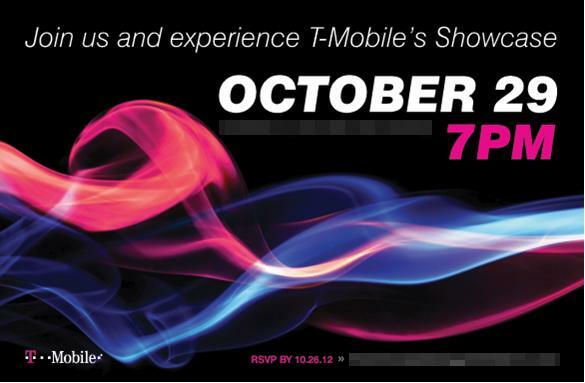 Google and Tmo both host an event in NYC, on the same day… Both cancel to the effects of Sandy… Whats going on here…. Maybe Jamille thinks there’s a Microsoft conspiracy and they’re somehow controlling the weather with a Windows Phone 8 device. You know, it’s one of those unannounced features that Microsoft’s been keeping under wraps? No? Well, I tried. Microsoft doesn’t have the Kahunas to drop something big like that. T-mo’s CEO is somehow going to magically drop in on the Nexus party and announce themselves as the true Nexus carrier and get an exclusive Nexus, made by HTC again and they’ll call it the Google Xtc with all the hardware and materials of a One X+ series device that will go on sale as soon as November 5th.. One man can dream right? Though wouldn’t that be a shocker if T-Mobile was able to pull something like that off? I mean Magenta DID get the very first Android! Well looks to be I wasn’t too far off no htc or exclusive but t-mobile officially offers the Nexus 4 now. Want to get because its a Nexus but that non removable battery is going to create problems. You’re right!! It’s semi exclusive, being that T-Mobile is a premier launch partner!! I’m loving it too.. shows that T-Mobile is really trying to play ball! This just proves that both are somehow related to each other. After all they could have just moved the events to the West Coast, Las Vegas perhaps, where it is safer. It’s not like the East coast, and NYC, is the only place that an event can be held. My guess is Google will announce the new Nexus line up and Tmobile will play a major part in some way. Maybe Tmobile will be the ones to offer the phones unlocked and with no contract.. maybe even be another source for getting the phones without having to go through the Google Play Store. I don’t think it proves that at all, it just proves that both companies are taking heed of bad weather. We can’t assume any more from this than we can any other business closings in the New England area. There may or may not be a T-Mobile aspect to the Nexus, but I sincerely doubt we can infer either way from this. Dang. I was really hoping to see some pricing and maybe some hands on time for the 8X and the 810, not to mention a possible ATIV announcement. Guess I’ll have to wait. what were they planning to announce anyways? There hasn’t been any leaks of high end phones coming their way in quite some time. Google owns Youtube. Why couldn’t they just have recorded their event a week ago and then released it on youtube (in the event of an emergency) to as much fanfare as desired. Same with this TMO showcase. In 2012, the weather should not stop a technology event because, well, there is technology to work around that. Go away Sandy. Nobody likes you!